NaturalintX Tea Tree Oil Shampoo from NAF is a natural antibacterial cleansing wash which provides care for your horse's coat. The highly effective formula does not strip the hair of the essential oils but provides the horse with a conditioned, glossy coat. 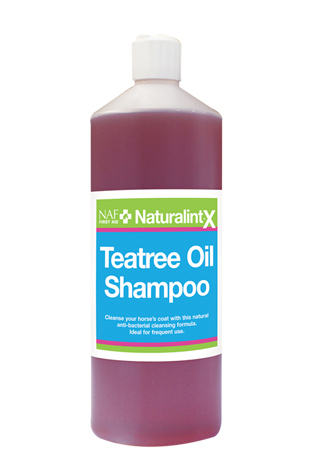 There are currently no questions for NAF Naturalintx Tea Tree Oil Shampoo for Horses - be the first to ask one!